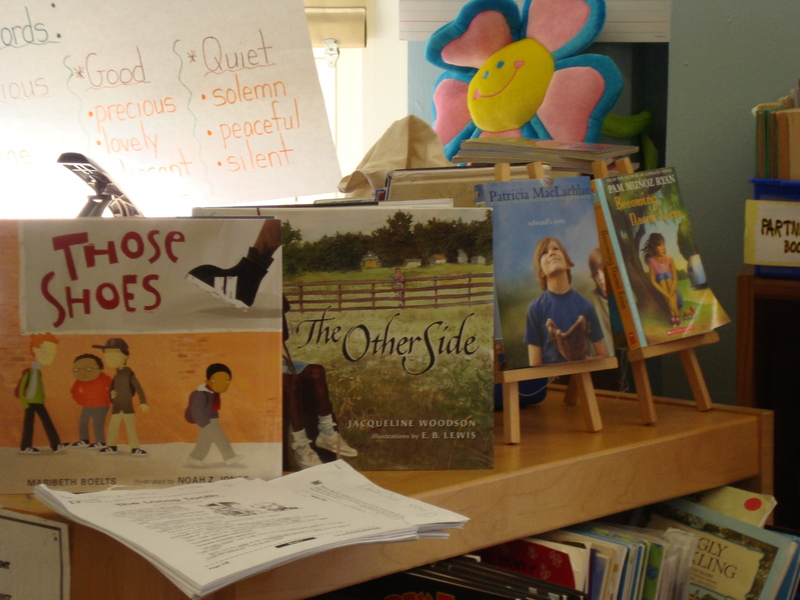 Read aloud titles displayed that reflect students in the class. 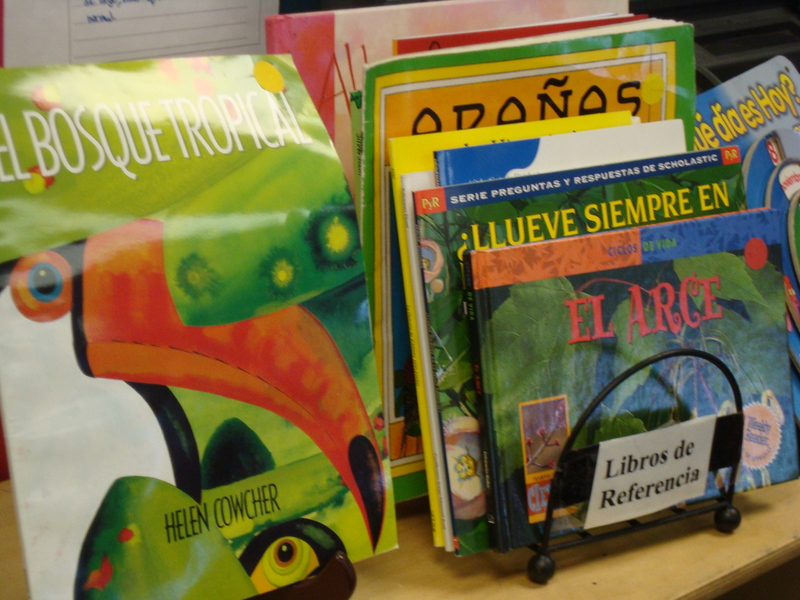 Dual language teachers at PS 149 celebrate read alouds and have multiple titles in the same content to support language and vocabulary alongside strategies being taught. 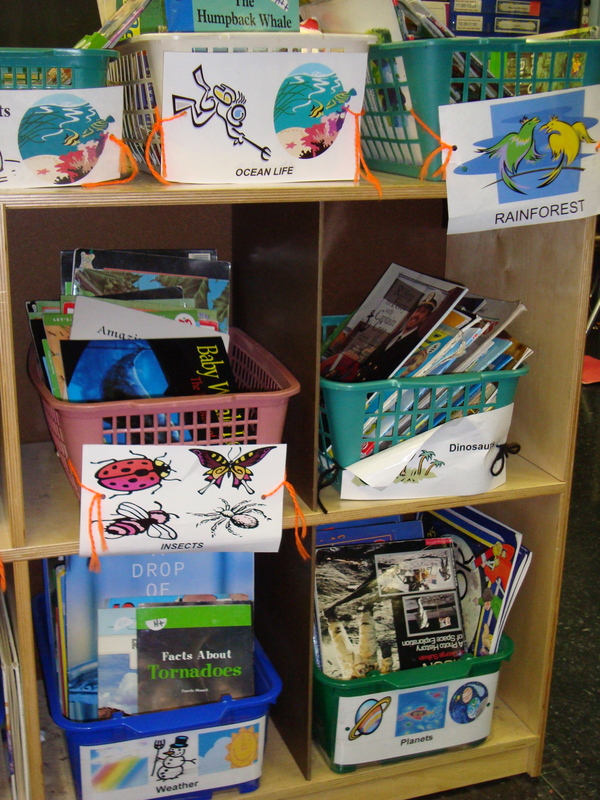 4th grade teachers at PS 92, Allyson and Deanna, provided visually enhanced baskets to entice readers to choose books in a variety of ways and incorporate multiple levels in one place. 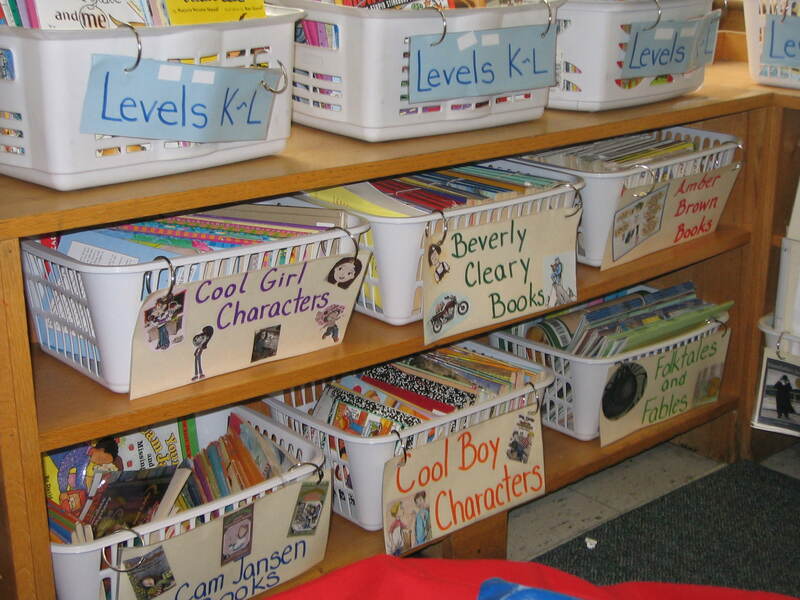 This helped readers to see themselves as more than a lettered level. 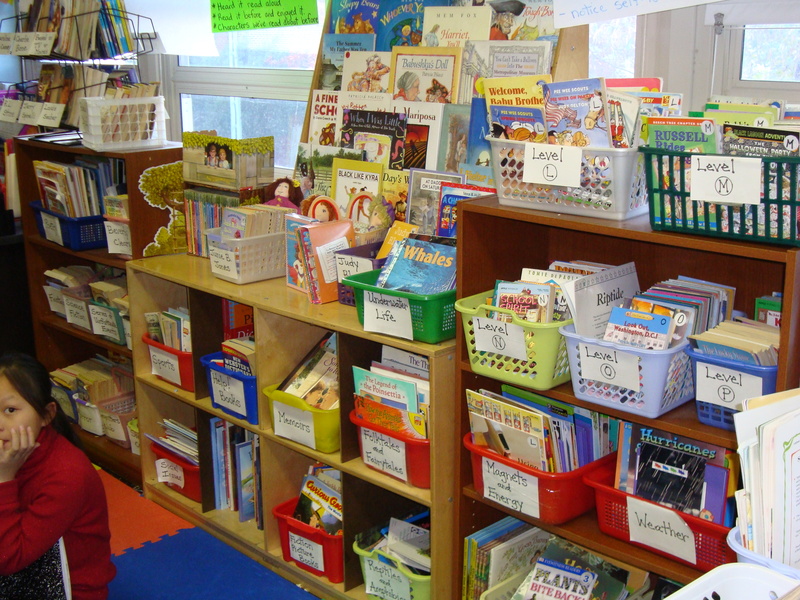 At PS 199, Iris makes choosing informational texts easy for ELLs in her library. 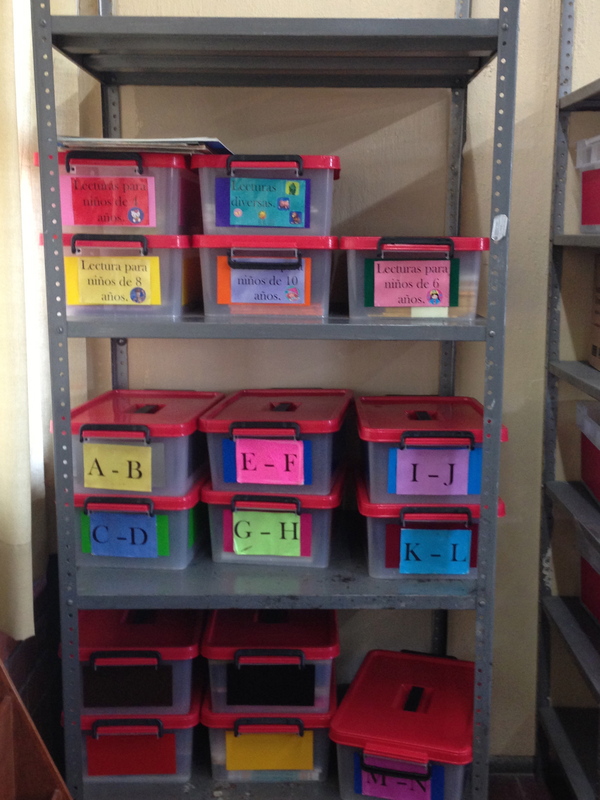 Tere and her colleagues begin to organize the leveled books at their school. 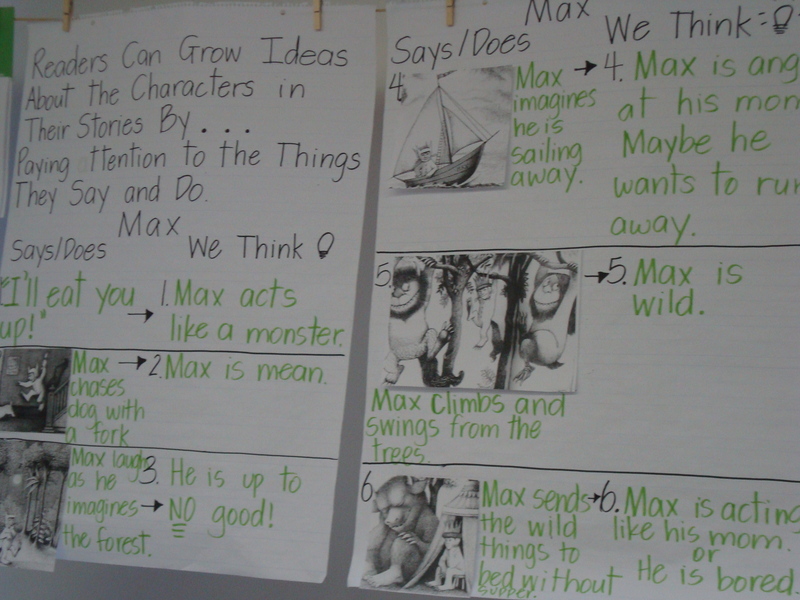 Nelly scaffolded her ELLs’ language and thinking, incorporating them into the chart-making process to support meaning. 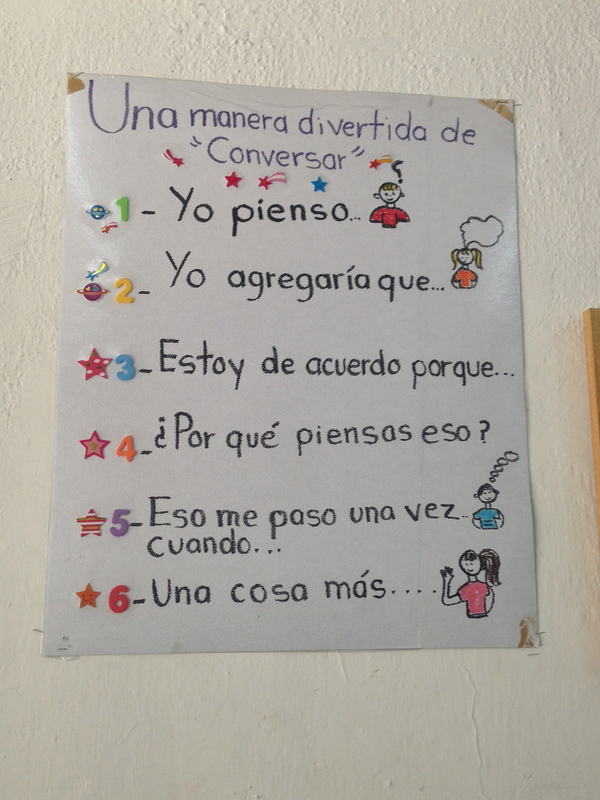 First grade learners in México begin to use conversational prompts. 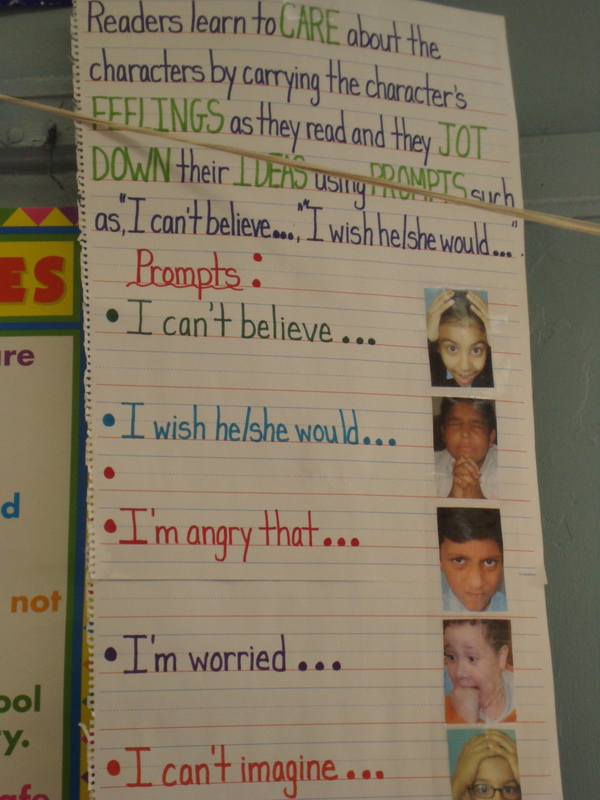 This reading workshop chart from PS 199 uses visuals, color-coding and a high-interest text to support readers who are also language learners. 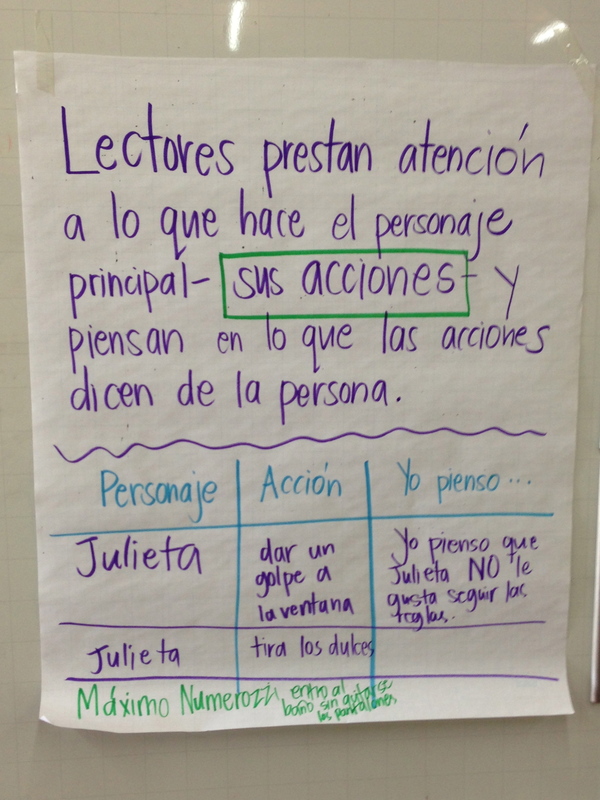 Instructional chart used during a reading minilesson in Guadalajara brings in language readers are expected to use and examples from texts the teacher has read out loud. 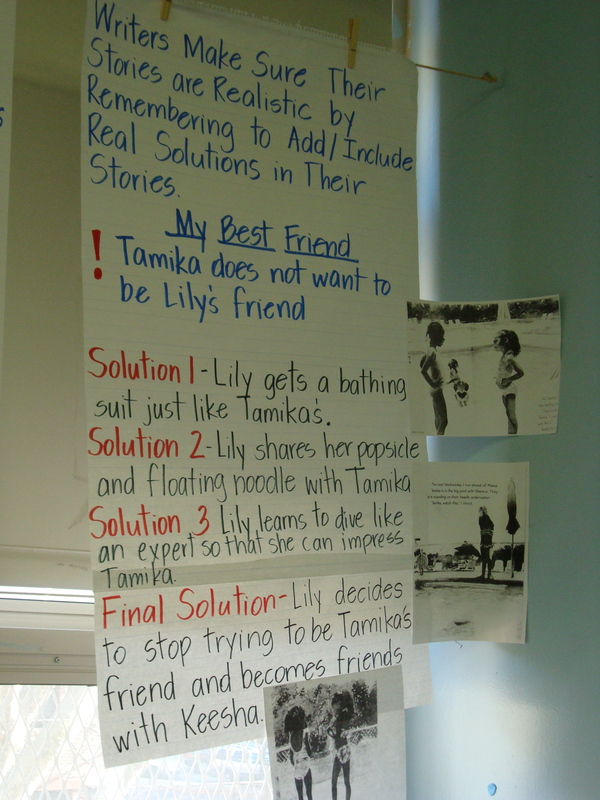 Writing is supported by this chart from PS 199 to demonstrate the strategy taught and promote independence when writers go off to revise their pieces. 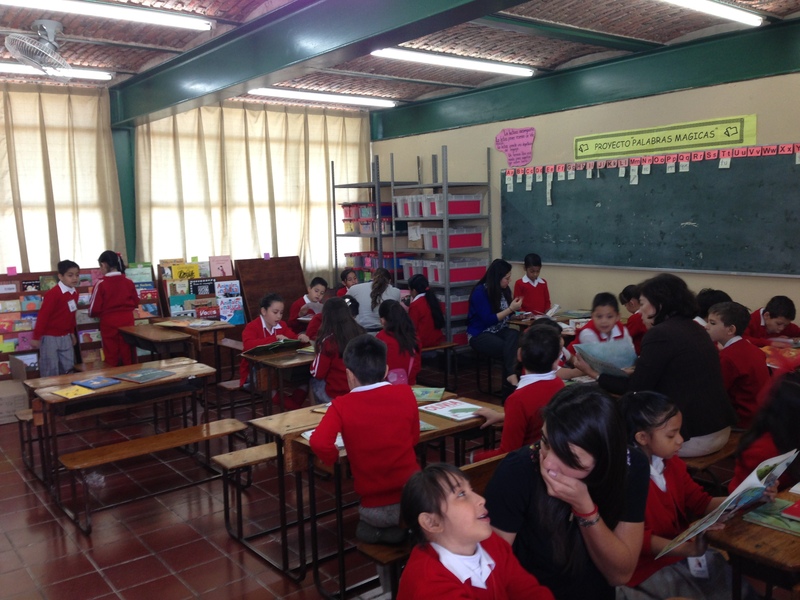 Readers in Tere’s second grade class choose their own just-right books in Guadalajara! Jumana leads a small group of her writers as they revise personal narratives in Amman. 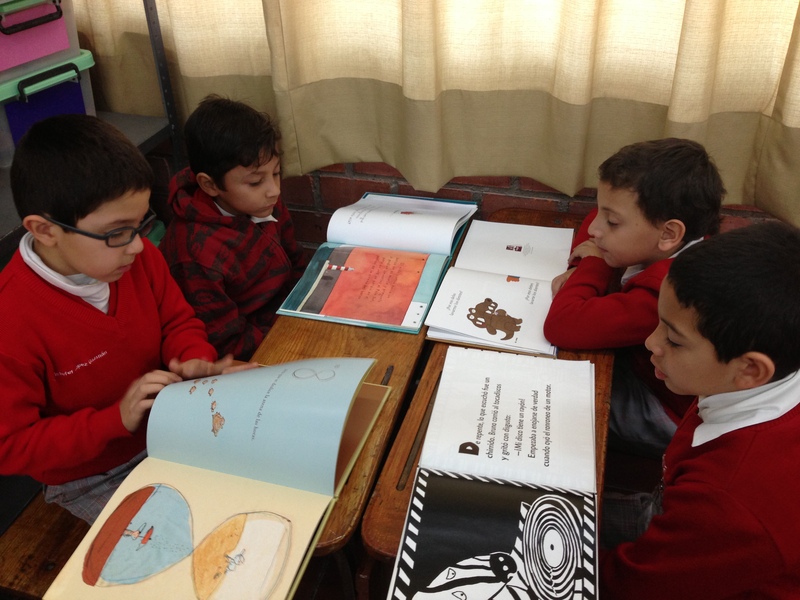 Readers confer and have access to books that interest them and that they can read independently. 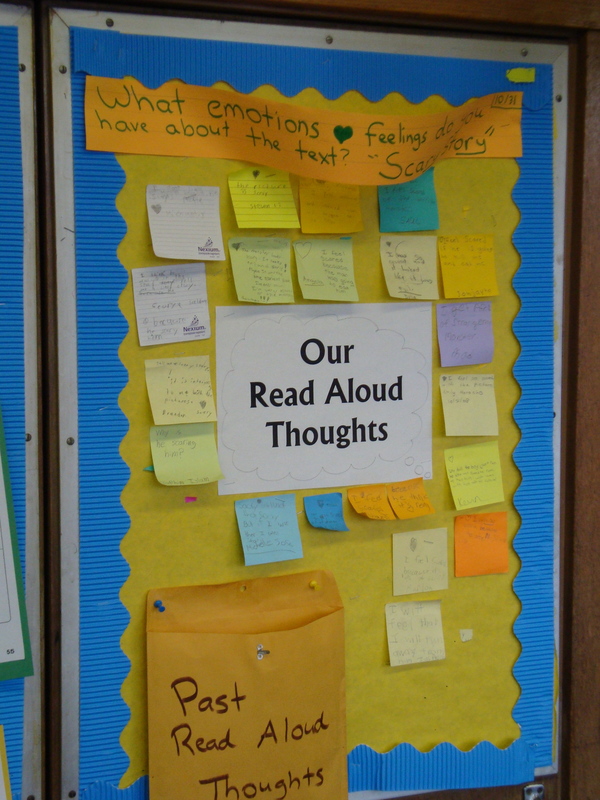 Anthony’s class collects thoughts during the read aloud that they can return to and talk more about.